Artículo ​​# 308596 Puntos Stash: 2195 (?) This is the number of points you get in The Zumiez Stash for purchasing this item. Stash points are redeemable for exclusive rewards only available to Zumiez Stash members. To redeem your points check out the rewards catalog on thestash.zumiez.com. 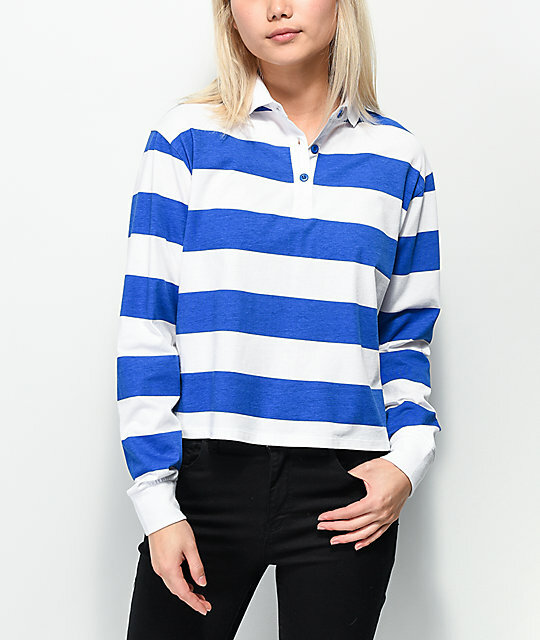 Get a classic polo look with a flirtatious fit in the Empyre Elexis Rugby Blue & White Striped Crop Long Sleeve T-Shirt. 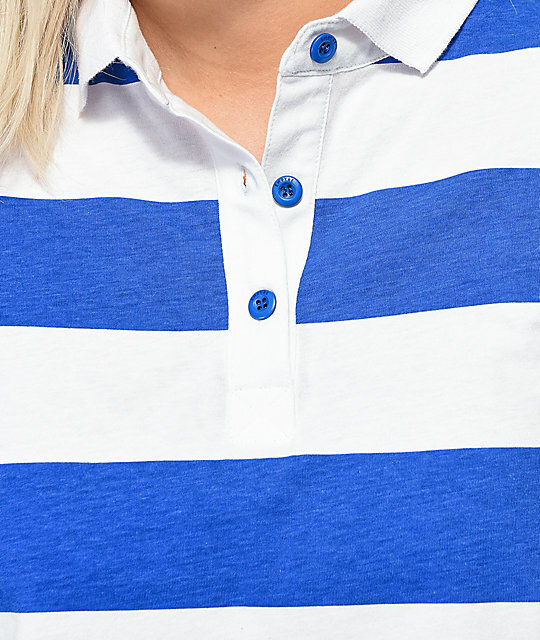 This white long sleeve features a traditional polo button up and fold over collar, while blue stripes are screen printed throughout for a splash of pattern and color. Sitting just above the beltline this slightly cropped cut has a relatively boxy fit for a relaxed feel and comfortable yet refined look. 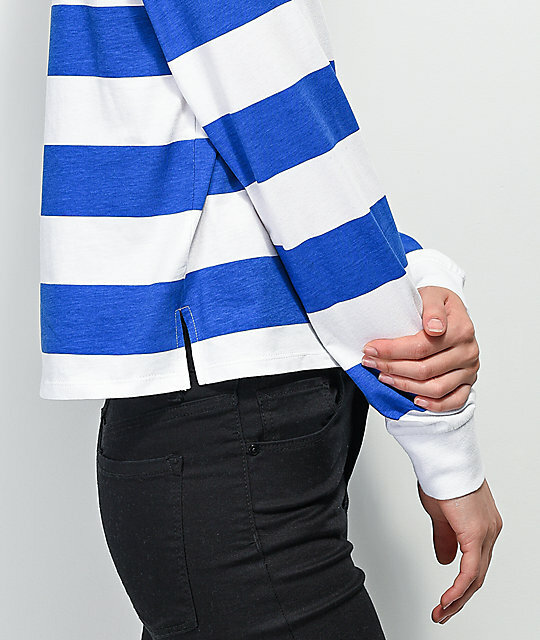 Elexis Rugby Blue & White Striped Crop Long Sleeve T-Shirt from Empyre. 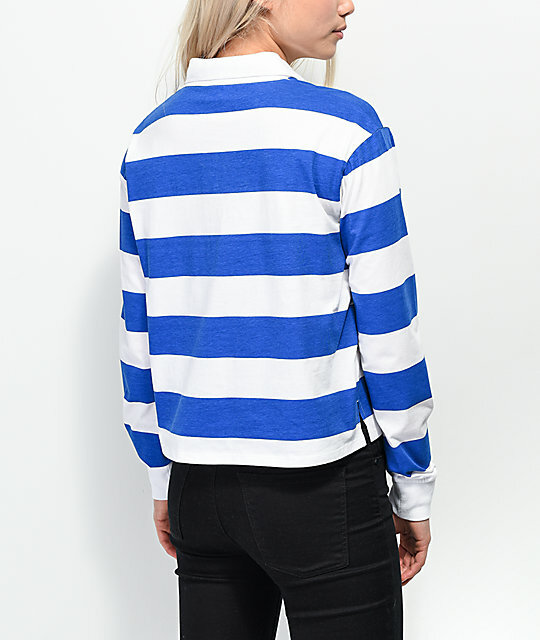 Screen printed blue stripes throughout. Traditional polo buttons and fold over collar. 18" (45cm) from top shoulder seam to bottom hem.